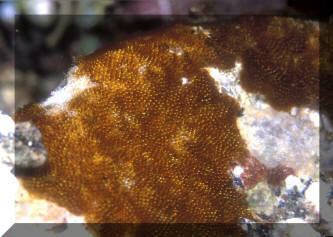 Alcyonidium sp.... a Bryozoan; here in N. Sulawesi. Bugula dentata (Lamoroux 1816). Delicately branching... minute spines along the colony branches... Indo-West Pacific; South Africa to Australia, Japan and Atlantic; Cape Verde Isl.s. 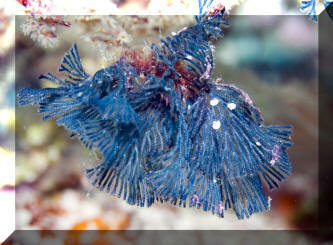 In Wakatobi, S. Sulawesi. Celleporaria sibogae Winston & Heimberg 1986. 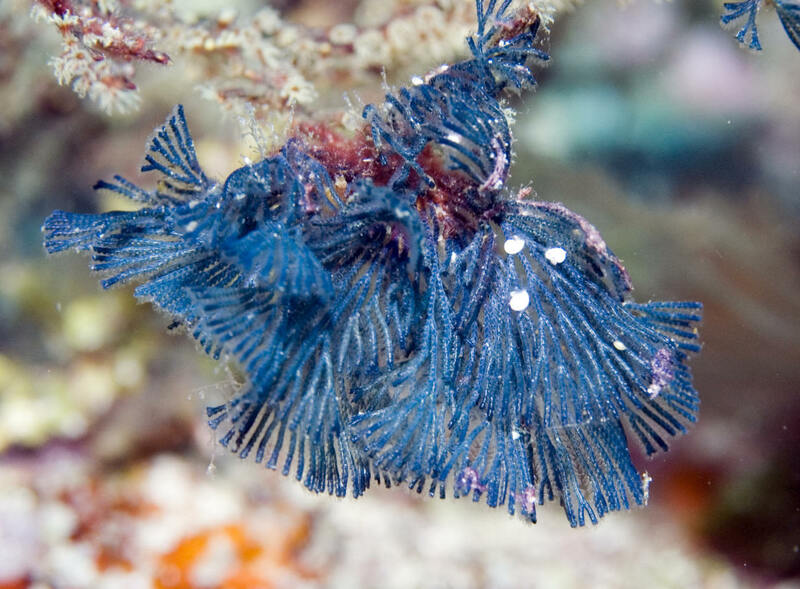 Easily missed or misidentified as something other than a Bryozoan. 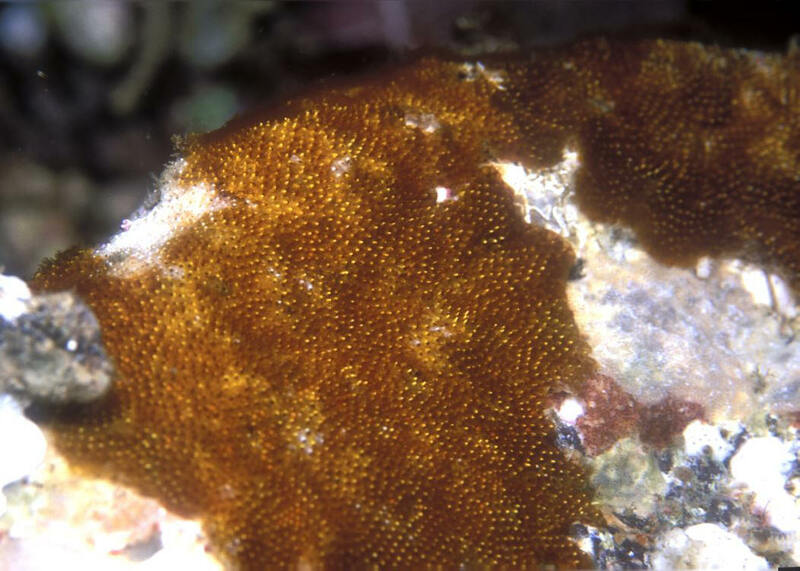 Crustose, flat colonies, comprised of elongated polyps of zancleid hydroids growing commensally. Calcified, hard to the touch. Western Pacific; N. Australia to Malaysia. N. Sulawesi pic.